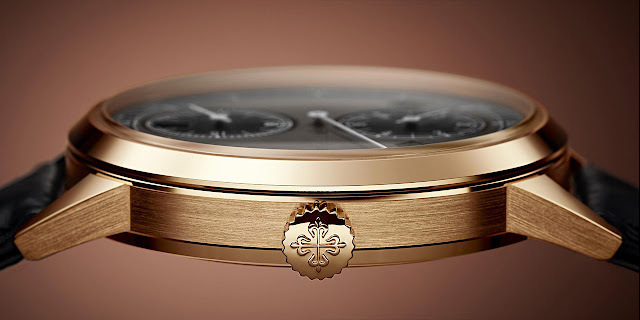 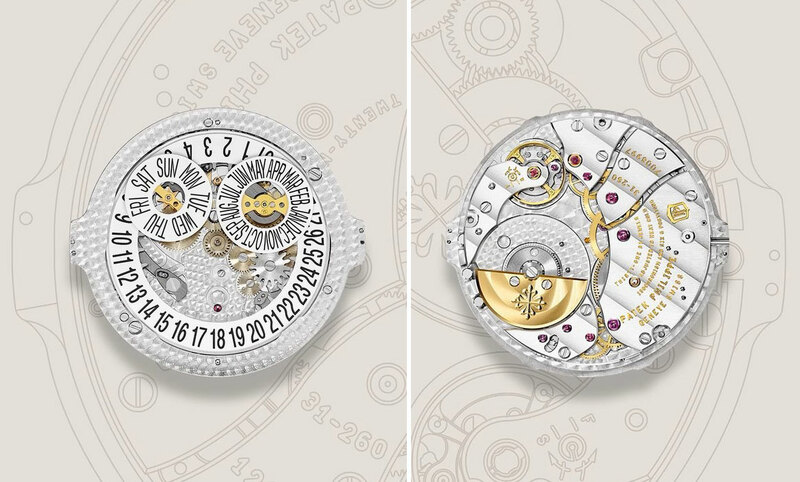 Baselworld will start in few days (March 21-26) and Patek Philippe just unveiled the first of the 2019 novelties that the brand has prepared for the event. Presented in a 40.5 mm rose gold case with two-tone graphite and ebony black dial, the new Annual Calendar Regulator Ref. 5235/50R pays tribute to precision clocks that were once used in astronomical observatories and watchmaking ateliers. 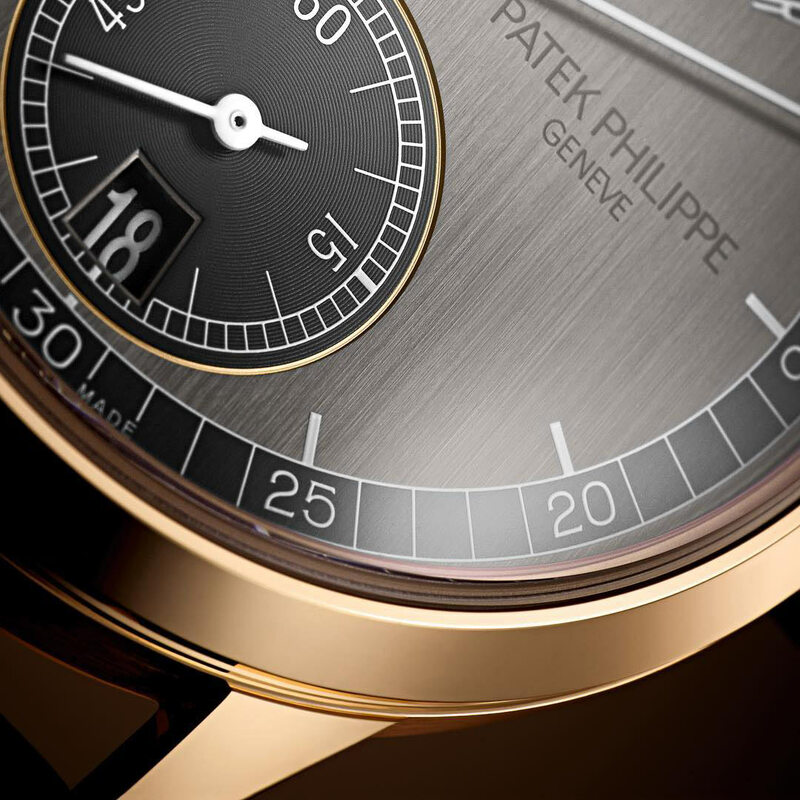 The Reference 5235/50R in rose gold replaces its predecessor, the Ref. 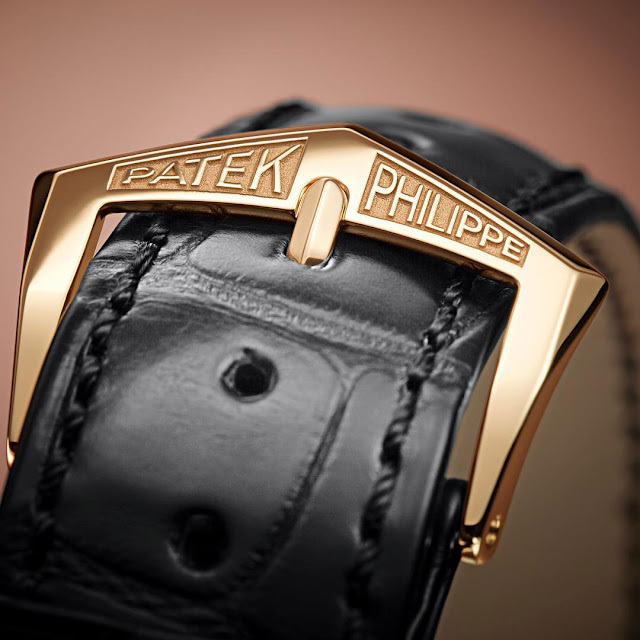 5235G introduced in 2011, making it the only regulator timepiece in the Patek Philippe collection. Its unorthodox dial is characterized by perfect symmetry, with a sweep minute hand, a subsidiary hour dial at 12 o’clock and a seconds subdial at 6 o’clock. 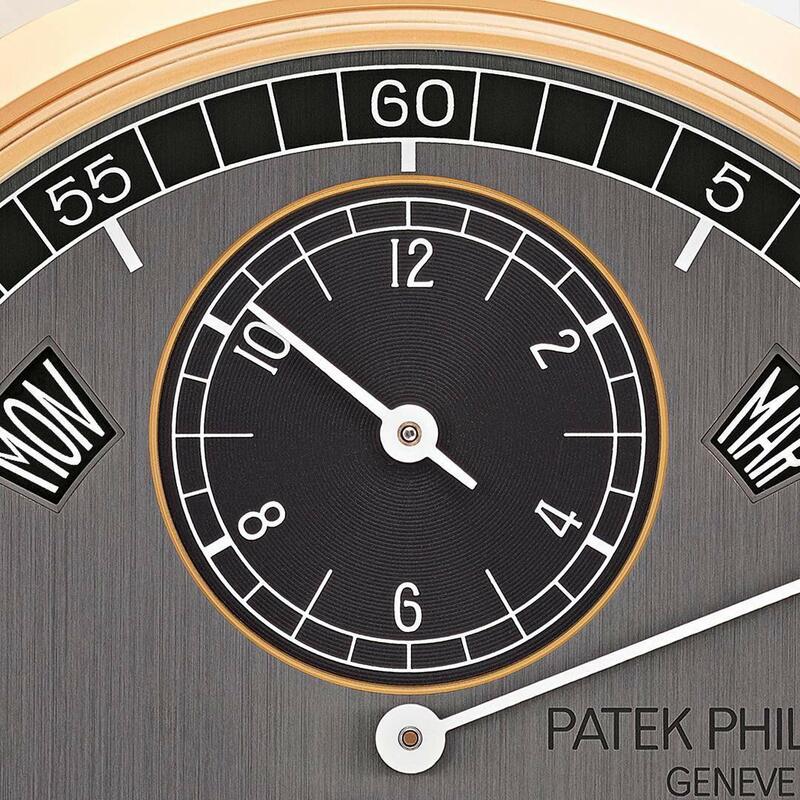 It also offers an annual calendar showing the day, month, and date in three large apertures. 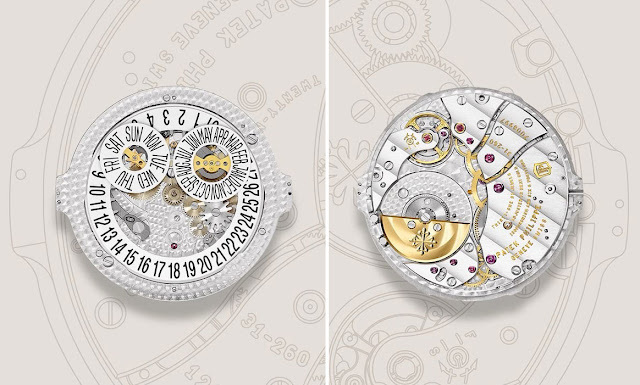 The sapphire case-back of Ref. 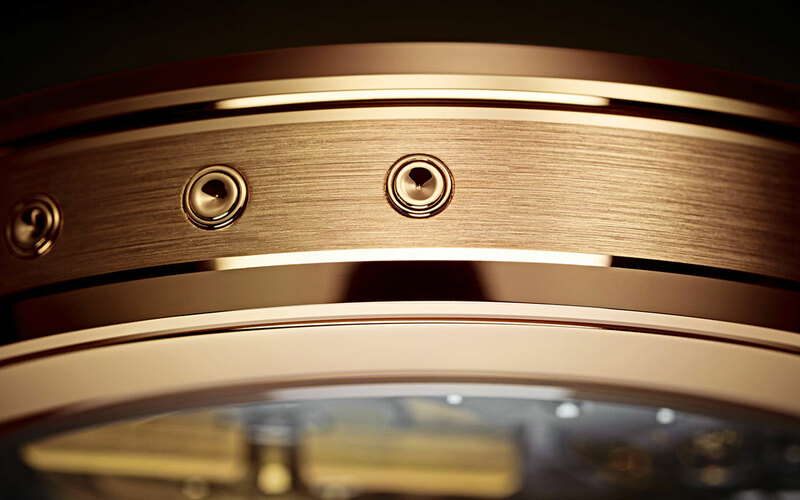 5235/50R reveals the manufacture calibre 31-260 REG QA. 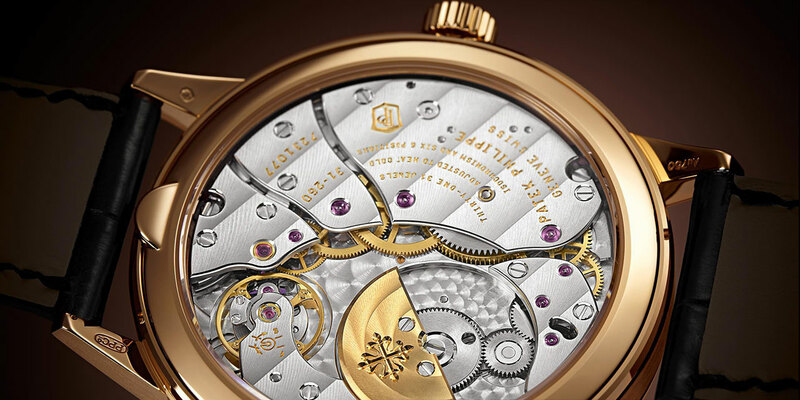 Its oscillator features a Spiromax balance spring and a Pulsomax escapement (the spring, lever, and escape wheel are made of Silinvar, a silicon-based material) which requires no lubrication, simplifies the maintenance of the movement and improves its long-term reliability. Beating at an increased frequency of 3.2 Hz (23,040 vibrations per hour), this innovative movement guarantees a power reserve of 60 hours. The higher frequency allows for a better adjustment of the rate accuracy, ranging from - 3 to +2 seconds per day. 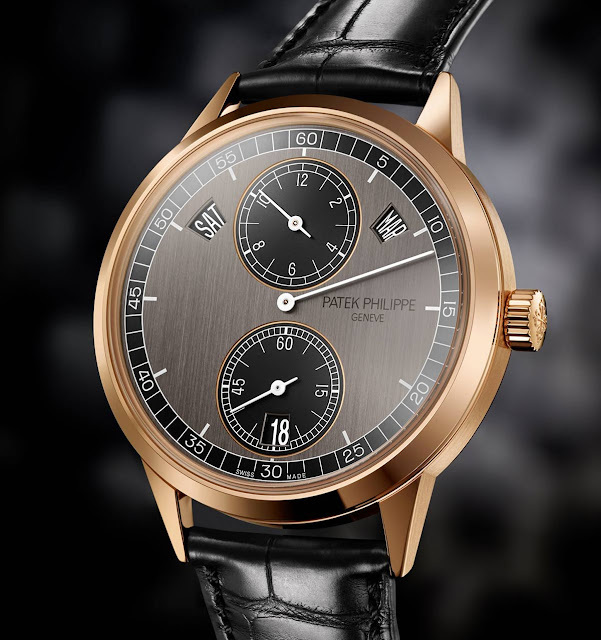 Patek Philippe 5235. 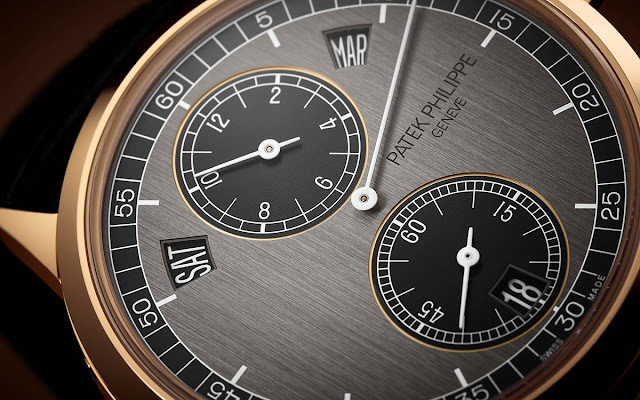 Baselworld will start in few days (March 21-26) and Patek Philippe just unveiled the first of the 2019 novelties that the brand has prepared for the event. 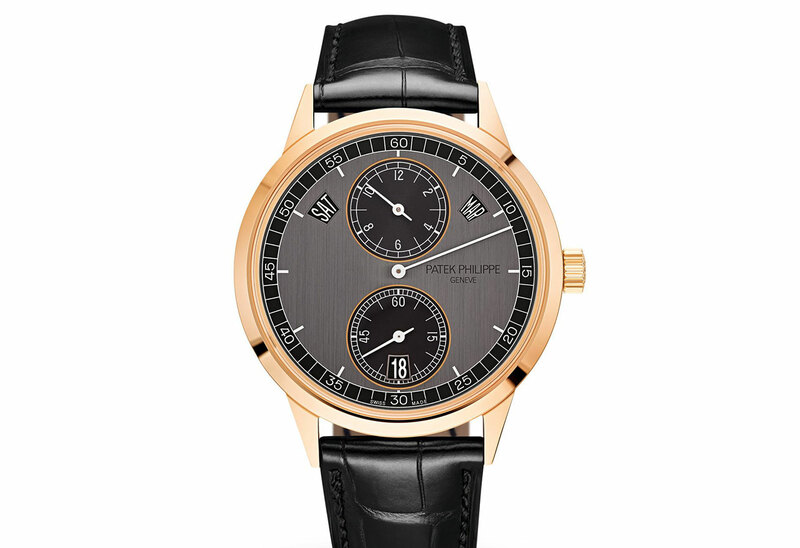 Presented in a 40.5 mm rose gold case with two-tone graphite and ebony black dial, the new Annual Calendar Regulator Ref. 5235/50R is expected to have a retail price of Euro 47,000. 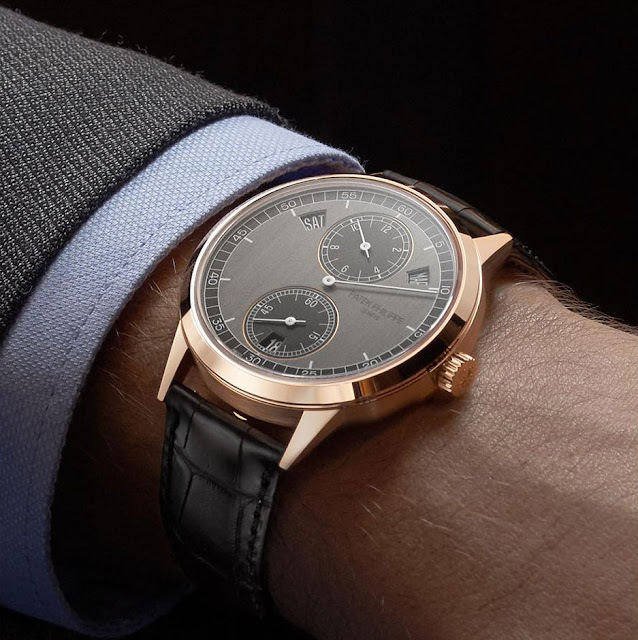 The Reference 5235/50R in rose gold replaces its predecessor, the Ref. 5235G introduced in 2011, making it the only regulator timepiece in the Patek Philippe collection.